It’s that time yet again! 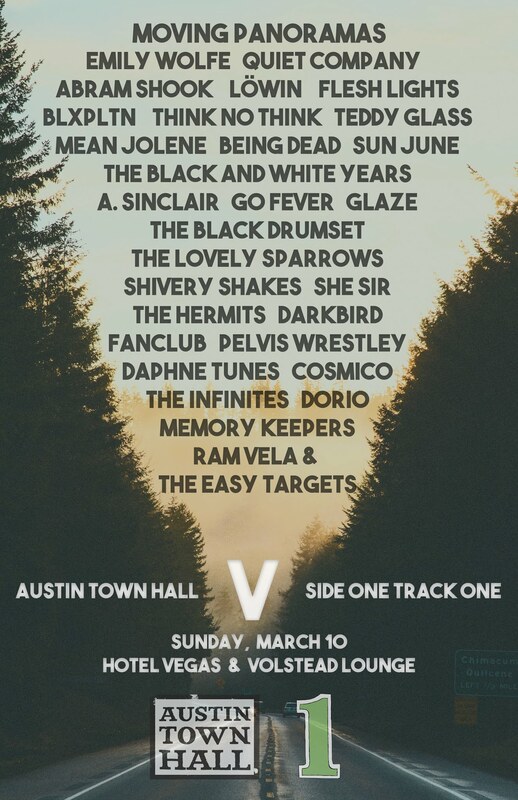 Time for your friends at Austin Town Hall to start hyping some local bands that deserve a little praise. We’ll keep the hype machine going this week with a short feature on Austin band Guns of Navarone. We were first exposed to this quartet last Saturday night when they opened up at Stubbs for our friends Whitman. Upon first listen, the band came across as a dirtier version of Old 97s with a super tight rhythm section provided by bassist Dustin Meyer and drummer Richard Knox. Mix that in with some country picked guitar from Seth Gruenberg and a perfect southern voice from Corey Reinisch, and you’ve got the Guns of Navarone sound. The songs are quite obviously labeled as “alt-country” which makes it easy to compare their sound to early tunes from Uncle Tupelo or the aforementioned Old 97s. Either way, their simple approach to songwriting and fast paced punk-country is a welcome refresher to the often times watered down indie scene full of “weird” and “complex” bands. Guns of Navarone currently have their debut EP up for download on their Band Camp site while they prep their debut LP for release later this summer. Give ’em a shot. You can also check out more of their upcoming tour dates over on myspace.